Rs 35,984 crore to double farmers' income in 5 years. Is the NDA finally getting serious about them? Among the key features of Arun Jaitley's Budget 2016 is its focus on farmers and the rural economy. The budget targets to double the farmers' income over the next five years. An amount of Rs 35,984 crore has been allocated for this purpose. The Pradhan Mantri Gram Sadak Yojna - aimed at building and expanding the rural road network - gets Rs 19,000 crore from Jaitley. Together with the states' contribution, the scheme will have about Rs 27,000 crore to spend in 2016-17. Another crucial scheme targeted at rural areas, the MGNREGA employment guarantee scheme, gets Rs 38,500 crore. For rural development as a whole, the budget allocated stands at Rs 87,765 crore. The budget proposes a health cover of Rs one lakh to every economically weak family. For senior citizens, those aged 60 and above, belonging to economically weaker sections, an additional top-up package of up to Rs 30,000 will be provided. The government plans to open 3,000 stores for distribution of generic drugs under the Prime Minister's Jan Aushadhi Yojna in 2016-17. As many as 62 new Navodaya Vidyalayas will be opened in the districts that don't have any yet over the next two years. An "enabling regulatory architecture" will be provided to 10 public and as many private institutions to turn them into world-class teaching and research institutions. To give a boost to higher education, a Higher Education Financing Agency will be set up with an initial capital of Rs 1,000 crore. The government will also set up 1,500 Multi-Skill Training Institutes across India. Rs 1,700 crore has been allocated for this purpose. Entrepreneurship education and training will be provided in 2,200 colleges, 300 schools, 500 government ITIs and 50 Vocational Training Centres through 'Open Online Courses'. A budget of Rs 55,000 crore has been proposed for the Roads and Highways ministry. This will be topped up by an additional Rs 15,000 crore, to be raised by the National Highway Authority of India through bonds. The proposed outlay for infrastructure for 2016-17 stands at Rs 2,21,246 crore. 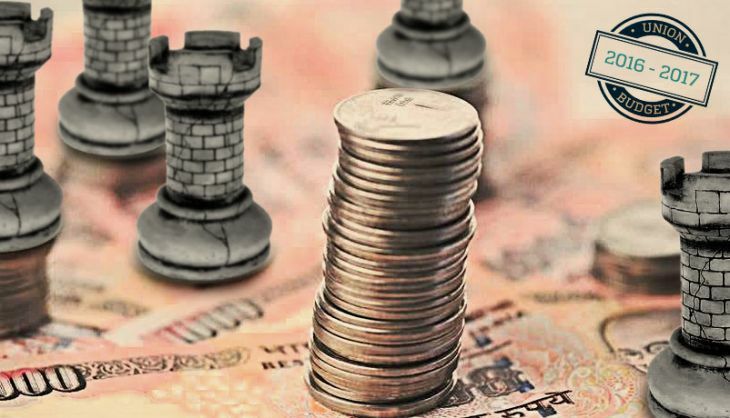 The RBI Act, 1934 will be amended, through the Finance Bill 2016, to provide statutory basis for a Monetary Policy Framework and a Monetary Policy Committee. A comprehensive Code on Resolution of Financial Firms will be introduced through a bill in the parliament this year. The code will provide a specialised resolution mechanism to deal with bankruptcy situations in banks, insurance companies and financial sector entities. The budget proposes Rs 25,000 crore in 2016-17 for the recapitalisation of public sector banks. "If additional capital is required by these banks, we will find the resources for doing so," Jaitley said in his speech. The fiscal deficit in Revised Estimate for 2015-16 and Budget Estimate for 2016-17 have been retained at 3.9% and 3.5% of the GDP, respectively. The revenue deficit target has been reduced from 2.8 % to 2.5 % of the GDP. To reduce the multiplicity of taxes and, thereby, the cost of collection, the budget proposes to abolish 13 cesses. These are levied by various ministries but their revenue collection is less than Rs 50 crore a year. The government will pay 9% interest per year, as against the usual rate of 6%, if there is delay of over three months in implementing appellate orders in tax cases. Foreign Direct Investment of up to 49% will be allowed in insurance and pension. The 24% limit for investment by Foreign Portfolio Investments, or PFIs, in stock exchange-listed Central Public Sector Enterprises, other than banks, will be increased to 49%. This is meant "to obviate the need for prior government approval for increasing FPI investment".